This time on the Cannon Films Project Dan takes a look at a Chuck Norris classic, Invasion USA. This episode an interview with screenwriter James Bruner, complete breakdown of the movie, and critics reaction to it when it was released in 1985. Full disclosure, there were some audio issues in the making of this one, but it seems to have survived. We’re back with a quickie. 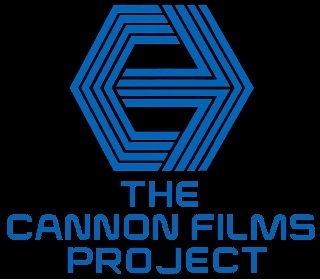 Cannon Films might have more announced, yet unproduced movies than ones they actually bothered to make. What made Dustin Hoffman sign and then quickly back out of deal to star in an adaptation of Elmore Leonard’s LaBrava? We take a look at what might have been. Before we move on here is one more bite of The Apple. We had some unused audio from Apple star Catherine Mary Stewart. Catherine talks about The Apple, another Cannon production she was almost apart of, and reveals she spent a month working in the Cannon offices. Also there is a chat with Apple songwriter Iris Yotvat that took place after we put out our last show. Dan and Eric take on Cannon’s musical extravaganza from 1980, The Apple. Featuring a conversation with the star of The Apple, Catherine Mary Stewart. In the first episode of The Cannon Films Project, Dan and Eric start their march through the Cannon library with their first notable film: Death Wish II.